As odd as this sounds I'm not entirely sure how long I've hankered after deep section wheels but it's been a while and until now Zipp's have been the make that I've always wished for but could never really justify getting. Now there are a few things to consider with deep section wheels and carbon deep sections at that. The two main ones being the need (with full carbons) to use carbon specific brake pads (which aren't that great in the wet) and secondly the preference for tubular tyres as the stress from a clincher rim is much better suited to an aluminium rim due to the strength. This has led to the rise in popularity of carbon/aluminium wheels which use a carbon deep section (from 30-100mm) and an aluminium clincher rim. The "new" Zipp C60's are the ideal wheel for every day cyclists, all the benefits of the Zipp carbon rims (including the dimpled finish that everyone loves) coupled with an aluminium rim/braking surface giving strength for the clincher (so no fussing with tubular tyres), durability from braking and the ability to use standard break pads - this means that I can swap from my Bonty Race X Lite's to the Zipp's with minimal fuss and adjustment. Fitting the new wheels was pretty simple and the only tools required are a spanner and the correct tool to tighten the new cassette (I opted for a 11-25 Ultegra) onto the free hub. As any cyclist reading this will be able to imagine I was eager to try out the wheels so headed out early on Sunday morning with Gareth for a slightly extended loop which would both push our fitness levels and allow me to test the wheels. Conditions on the ride were not really ideal for deep section wheels - 30mph gusts and heavy rain the day before - but I wasn't going to be dissuaded! The ride was good and the wheels performed admirably - smooth and noticeably quick to pick up and maintain speed. 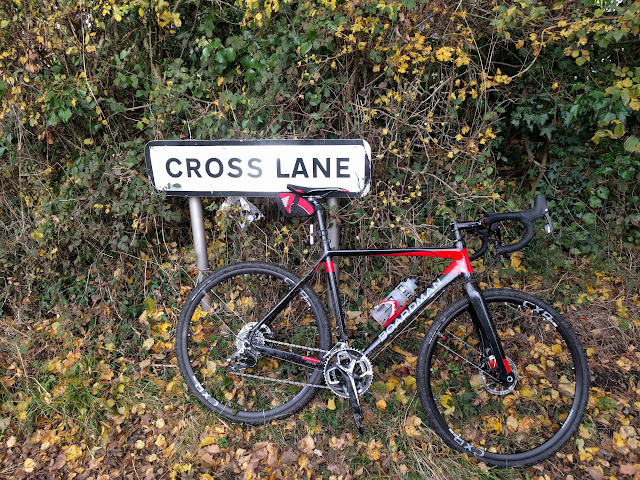 I will admit to being slightly (ok, maybe a little more that slightly) scared on one downhill when, on passing the 40mph mark, the cross-wind started to blow me around the road requiring some delicate breaking to bring things back under control, but you live and learn!